Tilghman Woods is a low density, cluster-home community that was developed by Charles T. Tilghman in the 1980′s. Lot sizes vary, but there are only seven lots to an acre. Because the developers left as many trees as possible, Tilghman Woods is a well-forested community. Many of the original homes feature cedar siding or shakes as well as real stucco. They were built to meet Santee Cooper’s “super energy efficient” requirements. After the initial development, other building materials have been used in the construction of the homes, but a high quality of construction as well as high property values have been maintained. This community is located just off Second Avenue North in North Myrtle Beach and is convenient to numerous retail areas that include banks, grocery stores, and gasoline stations. 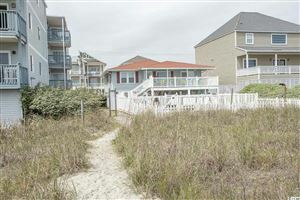 In addition, it’s not far from Main Street, Myrtle Beach, golf courses, beaches, and other entertainment. RE/MAX Southern Shores, the #1 selling real estate agency along the Grand Strand, invites you to access listings for Tilghman Woods properties by using the search features on the left of this website. Then call a RE/MAX Southern Shores agent at 843-839-0200 for personal attention to find the housing option that is just right for YOU! Given the affordable prices, quality of construction and access to the quiet Atlantic Ocean beaches, it is no wonder that so many buyers choose Tilghman Woods in North Myrtle Beach as the location of their home. RE/MAX Southern Shores real estate agents are very familiar with North Myrtle Beach real estate market, and would be delighted to take you on a tour of Tilghman Woods offerings as well as other North Myrtle Beach housing options. Simply give us a call at 843-839-0200 to schedule some time to make your real estate dreams come true! 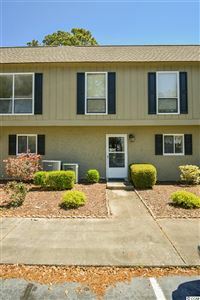 After seeing Tilghman Woods you may be calling it HOME!